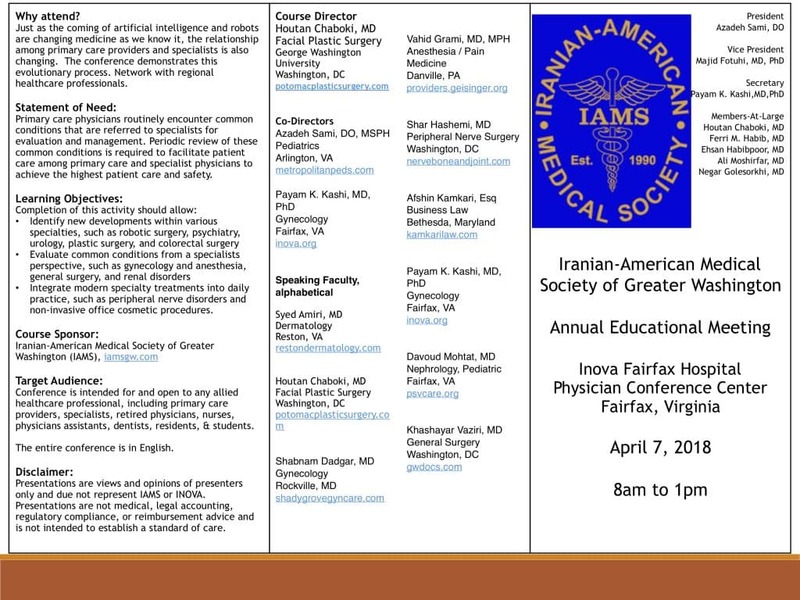 The Iranian-American Medical Society of Greater Washington (IAMS) is proud to announce the 5th Annual Educational Meeting at Inova Fairfax Hospital. 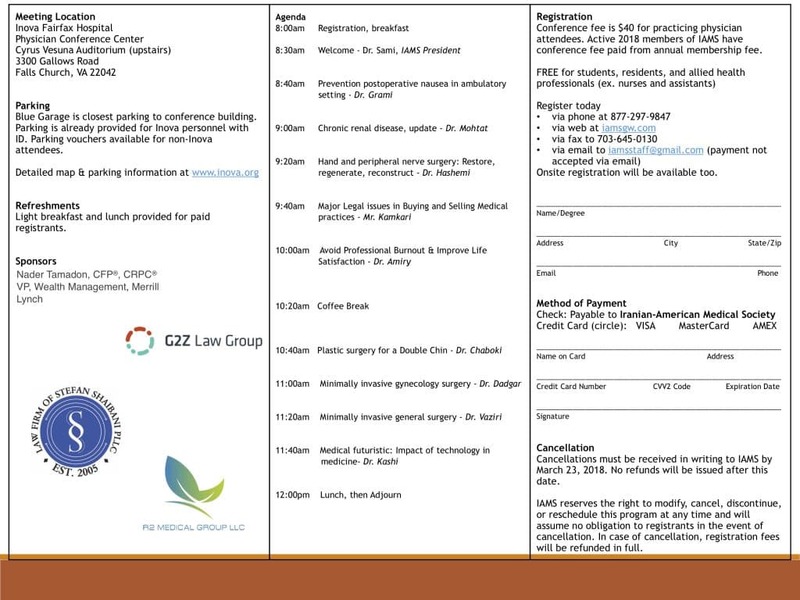 Meet and network with fellow physicians, health professionals, and lawyers, while enjoying educational lectures. Lunch and refreshments included for registered attendees. Agenda with speakers and details of the event pending. 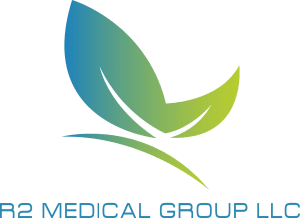 Fee: Conference fee is $40 for practicing physicians. Active, paid 2018 members of IAMS have conference fee paid from annual membership fee. Students, residents, and allied health professionals (nurses, physician assistants, pharmacists, technicians, dentists) may attend conference as complimentary guests. Light breakfast and lunch provided for registrants. See photographs of the conference on our Facebook page.